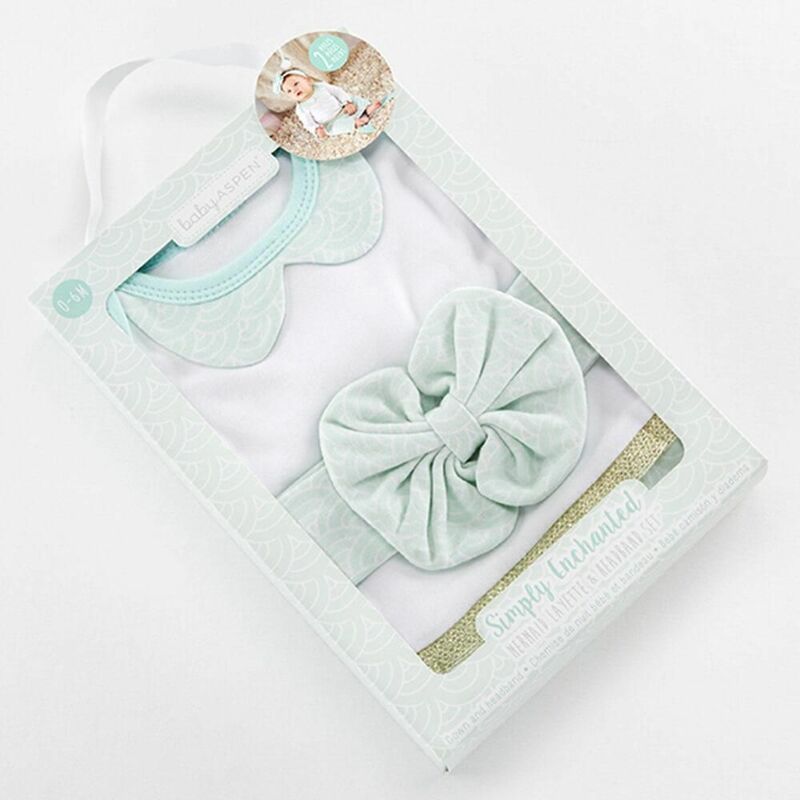 Picture how cute your baby will look in this adorable layette set, featuring a nightgown of mint and aqua details with gold trim. 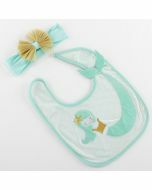 The mint headband with bow coordinates perfectly for a sweet mermaid look. 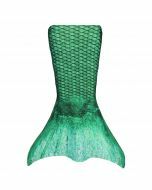 There’s even a mermaid tail! 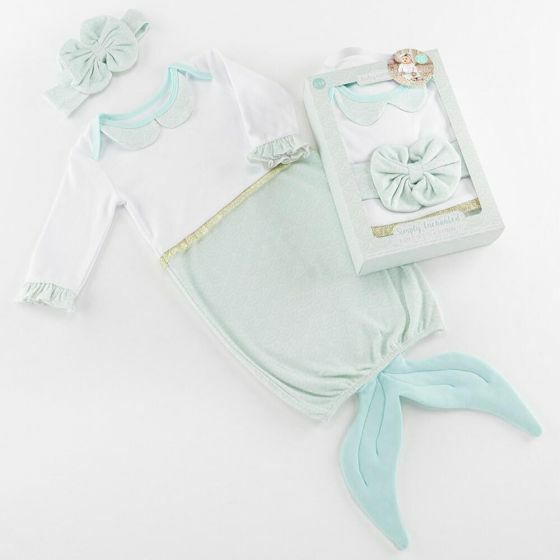 This two-piece layette set is just right for napping, but baby can play in it, too! 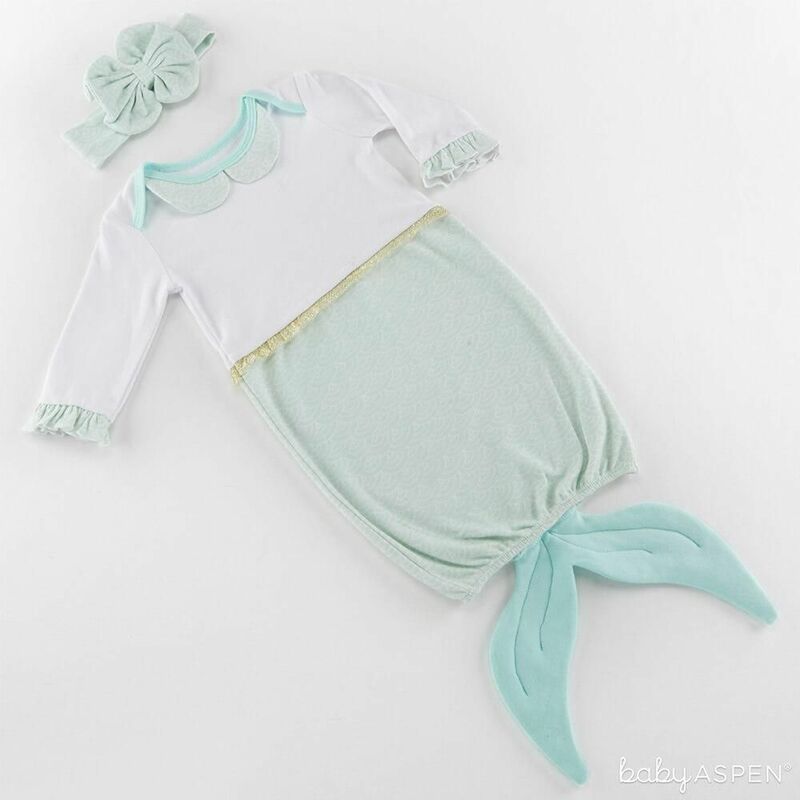 You’ll love the mint-colored wave pattern found on this cute mermaid nightgown. Plus, the details add a playful elegance you’ll want everyone to see! 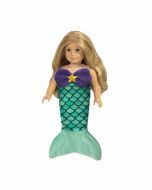 The adorable ruffle sleeves, gold waist trim, scalloped collar and realistic tail truly bring this look to life. This gift set comes in a gift-ready package with wave design and white ribbon handle that measures approximately 7” W x 7 “ H x 2” D.